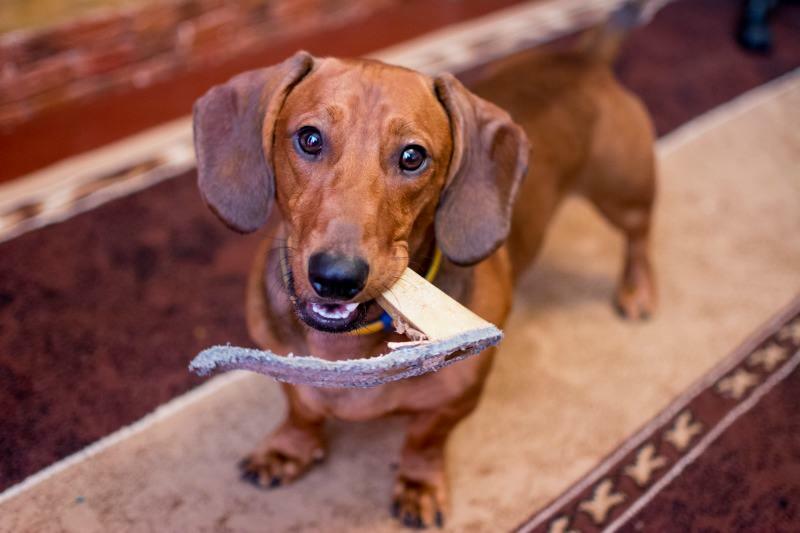 You are here: Home / Dachshund Health / Why Does My Dog Bark or Pee On the Floor When I Leave? I’ve received many emails from Dachshund owners who are frustrated that their dog barks all day, or pees in the house, when they’re gone. 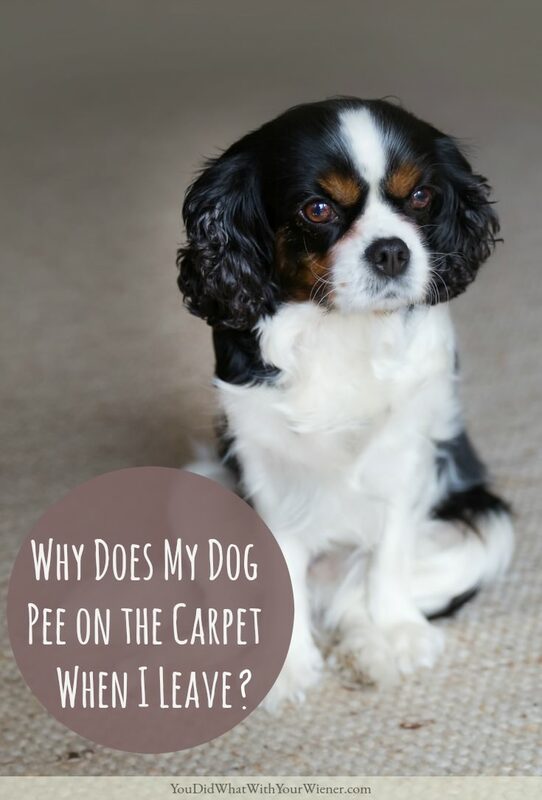 Most ask me if I think their pup does it because they are mad – or out of spite – and how to stop it. Since this topic doesn’t only apply to Dachshunds, Chester used to have this issue, and it can be a problem when a dog is left alone in a car while traveling too, I thought it was about time I wrote an article about it. First, dogs can feel many emotions. These emotions are very different than human emotions though. While some may overlap, or are similar, dogs do not behave a certain way because they are “mad” and they don’t “do it out of spite”. It may seem that way sometimes (trust me, I’ve wondered many times myself) but it’s not. Dogs “act out” as a way to communicate with us. If what they do is perceived as bad by us, it’s usually some kind of cry for help. The action is a result of what what they are experiencing at the moment, not something they rationally decided to do as “payback” for something you did earlier. Separation anxiety is very real and something that is very common in Dachshunds. Separation anxiety is a type of distress that occurs when your dog is separated from you for any length of time (it may even be 5 minutes). Peeing or pooping the house is easily noticed because you see the “surprise” when you come home. Chewing or digging is similar. You’ll know by the carnage left for you to clean up. However, barking and howling is harder to detect. 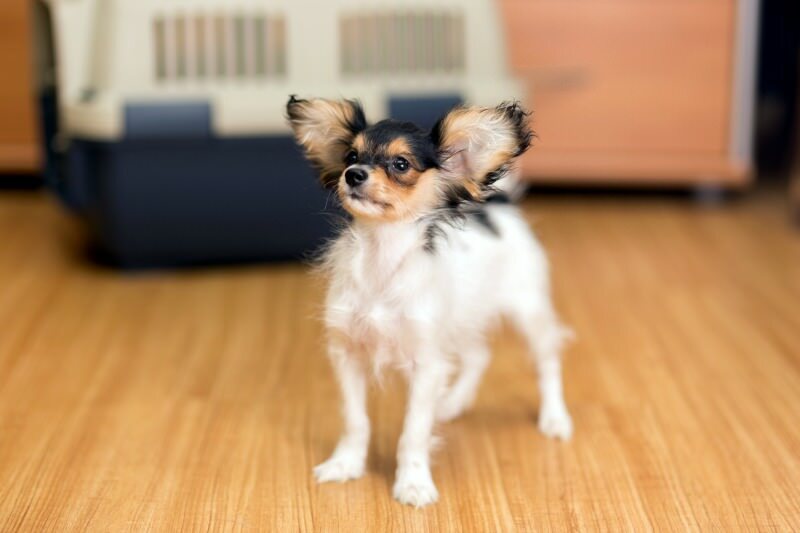 You may not know if your dog is barking or howling while you are gone. There is a chance you will hear them after you shut the front door. If you do, it’s safe to assume they are doing it all day (although that is not always the case). Rarely does a dog act out to such extremes and then calm themselves down naturally while the stressor is still there (you being gone). More typically though, the the behavior is reported by your neighbor – usually to you via note or in person or to the landlord who then tells you (not fun, trust me). It’s important to note that your dog could by trying to tell you something completely different with these behaviors. The issue may not be that they dislike being left alone. They may have some health issue that is causing them to not feel well. If your dog is exhibiting any of these behaviors, it’s important to take them to the vet so you can rule out any other cause. If your dog is acting out, and you’ve ruled out any underlying health issues, the chances are pretty good that the cause is separation anxiety. So how do you get them to stop behaving badly when you’re gone? I’m definitely no expert on this topic. I’ve experienced it with both Chester and Gretel though. With Chester, he barked some but would pee on the carpet immediately after I walked out the door… even if he had just gone outside! Gretel would whine, howl, bark, and chew stuff. Curbing these behaviors was actually pretty easy for both dogs… which is why I am no expert. For both dogs, a partial solution was to train them to sleep in a crate while I was gone. At first, this was more of a way to prevent them from peeing on the floor or chewing stuff up. In Chester’s case, the crate was the only solution I needed. It was no longer possible for him to pee on the carpet and he didn’t pee in the crate because, like most dogs, he wouldn’t soil where he slept. It didn’t do anything to address his separation anxiety but he never seemed upset or stressed by me being gone anymore. It could be because a lot of dogs find “hiding in a cave” to be soothing. It wasn’t the whole solution for Gretel though. I had to address Gretel’s underlying stress from feeling abandoned. She is very food motivated so all I had to do is give her a stuff treat toy when I left. I think it worked because she was so engrossed in getting the treats out that she didn’t even notice I left. And by the time she did notice, she was tired and went to sleep. What I did worked for us but he proper way to deal with it would have involved conditioning them to me being gone by shutting the door then coming back in the house, walking down the stairs and coming back in, getting in my car and then going back in… you get the point, The goal is to go further, and stay away longer, until eventually they are not upset by you leaving. Note: Some of the links below are affiliate links, which means that I get a few pennies if you make a purchase, at no extra cost to you, to help support this blog (and we really, really appreciate it!). Although I prefer natural treatments for separation anxiety, they don’t always work and they don’t always work fast enough. Sometimes your landlord might give you an ultimatum and you only have a few days to get your dog’s behavior under control. Veterinary-prescribed medication can be a way to calm your dog so the behavior diminishes or stops. It can also “take it down a few notches” so the training/conditioning is more effective. Check out this article for a list of anti-anxiety medications you can ask your vet about. Your turn: Have you dealt with separation anxiety? What helped your dog?